Need help finding the best fit and the right size? We can help you. View our size guidelines for Men, Women, Boys, Girls and Medical Scrubs. For best results, use a soft measuring tape. Have someone else take your measurements. Measure in your undergarments, not over clothing. Take all measurements in inches. If measurements are between sizes, order the larger size. Use the measuring guidelines shown to ensure all measurements are taken at proper points. 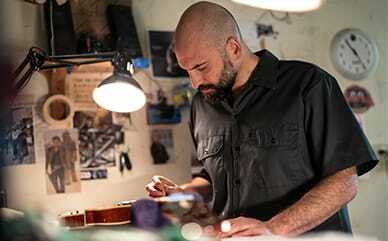 Use Dickies size charts to help convert your measurements to the proper sizes for Pants, Shorts, Jeans, Bib Overalls, Coveralls, Shirts, Outerwear, and Scrubs including Men's Big & Tall. Because Dickies knows fit and size are important for your comfort and safety, we're happy to help you any way we can. Please call our Customer Service at 1-800-DICKIES (342-5437) 8am-8pm Central Time for answers to your questions and other assistance. 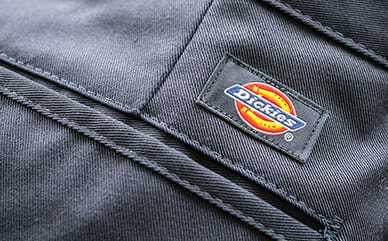 Since 1922, Dickies quality has been built into workwear and every product. We'll gladly replace a Dickies garment or refund your money with original retailer's receipt if you're not satisfied for any reason including size and fit.